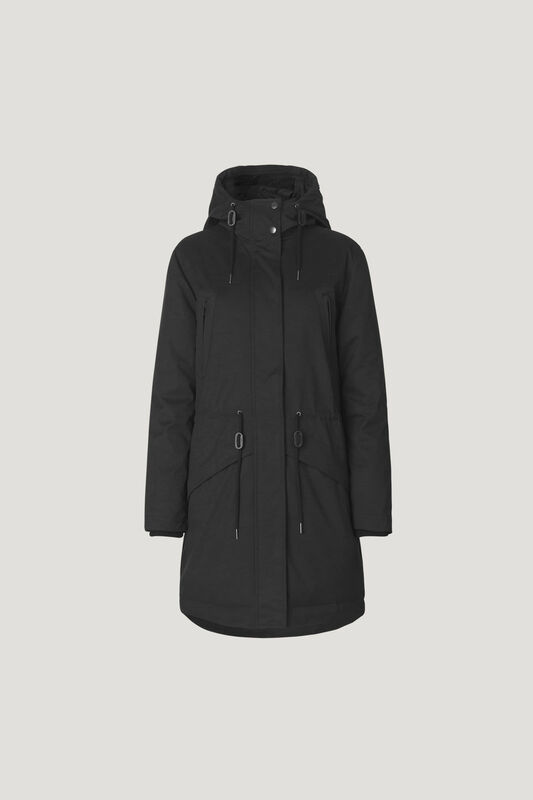 This hooded parka coat from Samsoe & Samsoe has been filled with feather and down for extra warmth. It has a draw- string at the waist to emphasie your waistline. The sleeves have been finished with rib cuffs. Center back length is 97 cm on size small. VAN NORD STORE in Berlin, Germany.